THIS JUST IN: BOOK GIVEAWAY AT END OF POST! …comes with an incorrigible dragon, who proceeded to JUMP off the page and cause a ruckus around here. The boys and I spent the better part of a week trying to wrangle this guy back into the pages…but I’m afraid the dragon won this battle. who wrought havoc on us and our home by the sea. and then began swallowing book after book. I shooed him outside where he went all berserk. He swallowed my tools and disrupted my work. He swallowed my sander; ’twas truly grotesque. Then he swallowed the whole of my grandmother’s desk. He singed my hydrangeas, my daisies and quince. He swallowed hot peppers and didn’t once wince! We tried to entice him with pizza and sauce. But that only made him more snappish and cross. He flew down the street, where he swallowed a field. The people protested, the sunflowers squealed. he swallowed a boy from his head to his toes! And then the old dragon swallowed our sea. but in the sea was ME! Thank you to Penny for allowing me to have a little fun with Dragon, deliciously drawn by the gifted Ben Mantle! 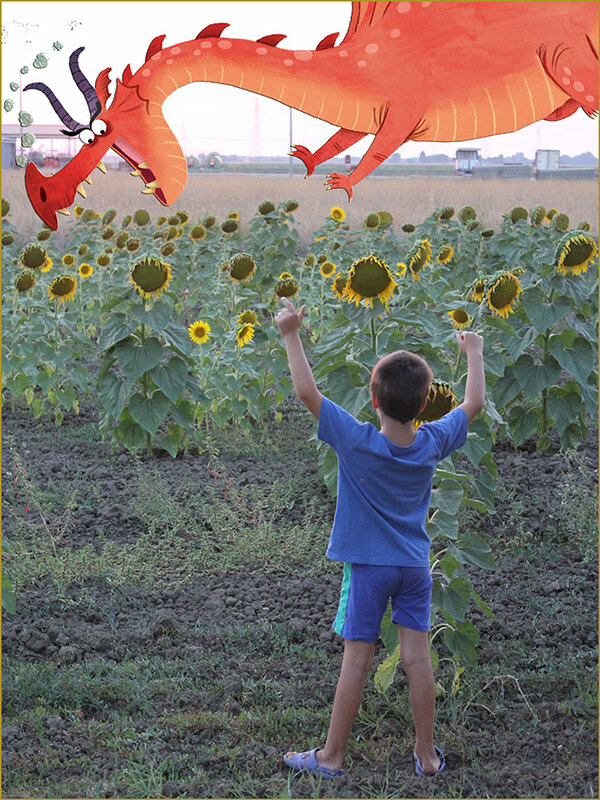 Feed The Knight To The Dragon: Classroom or party play activity, a type of Pin the Tail on the Donkey. Using the images from the book as a guide, draw a dragon on a large piece of poster board. Either draw small knights for students to color or have students draw and color their own knights. If you plan to play the game multiple times, laminate the dragon and the knights. Students will take turns being blindfolded as they tape their knight to the dragon. The student whose knight is closest to the dragon’s mouth wins the game. 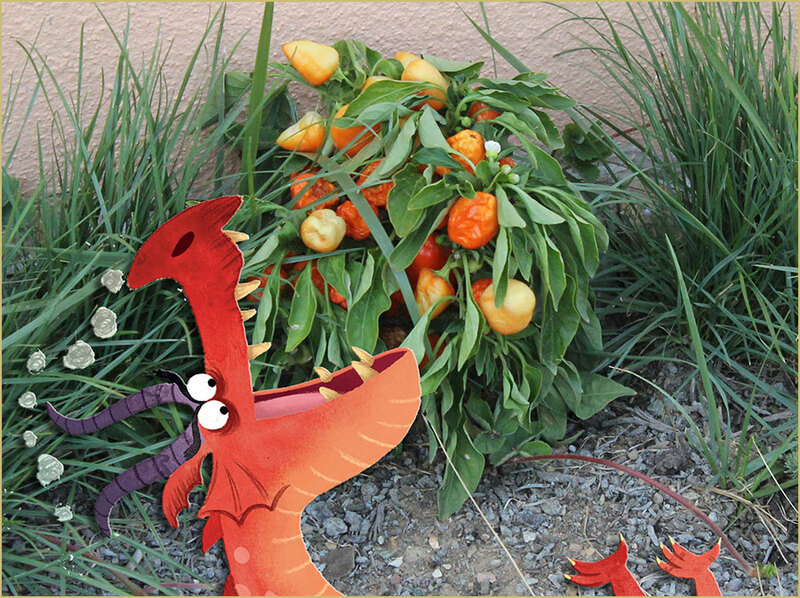 There Was an Old Dragon Who Swallowed a Rhyme: Rhyme recognition activity. Since my book is written in rhyme, it is perfect for a rhyming game. Using the images from the book as a guide, draw a dragon on a large piece of poster board. Draw 9 wooden stakes similar to the one holding the “turn around now” sign in the picture. Make stakes long enough to hold 2-4 signs (rhyming words). Place stakes in front of the dragon as if he is eyeing them for a tasty rhyming meal. Make signs from rhyming words to attach to wooden stakes. Start with these words: knight, polite, steed, speed, squire, fire, cook, book, lady, shady, castle, tassel, moat, throat, enough, stuff. Have students take turns taping the signs with matching rhyming words on the stakes. 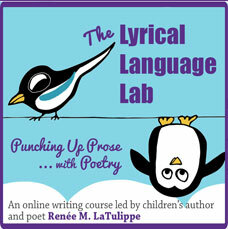 Challenge students to come up with other rhymes that would match those on the stakes. Choose one student to be the dragon. The dragon will wear a red scrimmage vest or a red wristband. Distribute other cards among the remaining students. Remind them to keep their card a secret. The instructor should be left with a pile of extra cards. (If you have more cards than students, make sure at least two knight cards are distributed.) Have all students scatter except for the dragon. When instructor calls, “There was an old dragon,” the dragon will begin chasing the other students. When students are tagged, they must hand their card to the dragon. If they have a knight card, they must take the dragon’s card and the red vest/wristband to become the new dragon. After the previous dragon hands over the dragon card and the wristband, they exchange their knight card with a new card from the instructor’s pile of cards. On the other hand, if a tagged student has any card other than the dragon card, they are free to take another card from the instructor after turning their card over to the dragon. They may continue the game with their new card. Periodically, the instructor should collect the cards the dragon has collected so they will have cards to distribute to other students. The game is ongoing since the dragon card changes hands time after time. 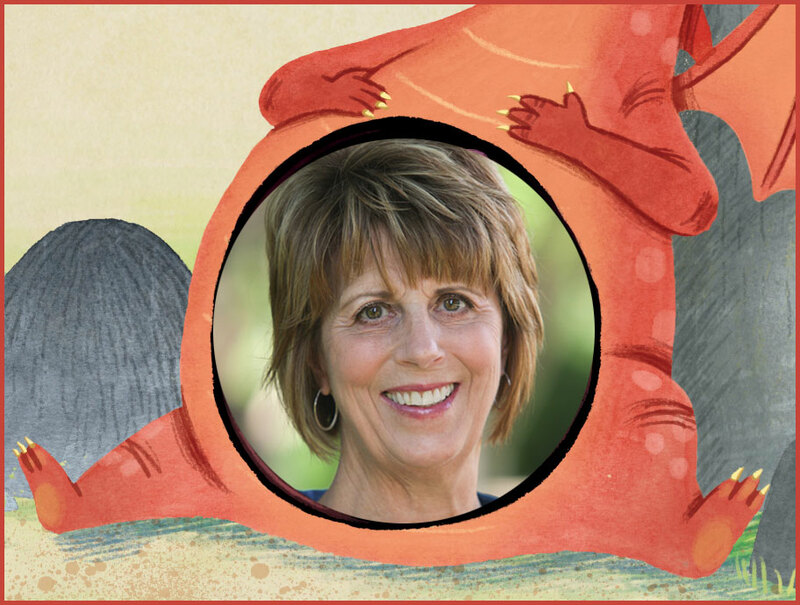 Penny Parker Klostermann is the author of There Was an Old Dragon Who Swallowed a Knight. She loves all kinds of books, but especially loves very silly picture books that make her laugh. She has been known to hug her favorite picture books and seriously hopes that someday her books will gain huggable status too. Penny lives in Abilene, TX. Find out more about Penny on her website, or find her on Facebook, Twitter, and Pinterest. One of you lucky people will be the proud owner of a signed copy of this marvelous book. All you have to do to enter is slay a dragon, save a damsel/young gentleman, build a castle, and live happily ever after. Or you could just leave a comment — it’s really up to you. Next Friday, August 21, a winner will be drawn and quartered … er, drawn from my barbute and Penny will send your book! UPDATE, AUGUST 22: And the winner is … JOY ACEY! Congrats! 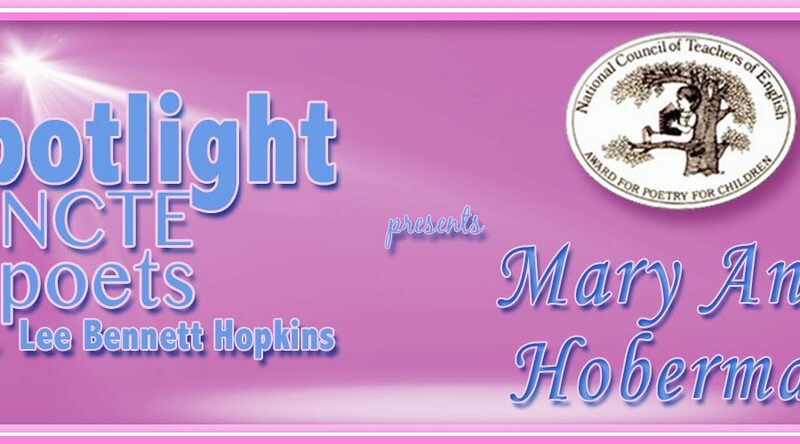 Gobble your way over to my juicy little universe where Heidi is hosting Poetry Friday. Picture book text © Penny Parker Klostermann. All rights reserved. Picture book illustrations © Ben Mantle. All rights reserved. Other blog post content © Renée M. LaTulippe. All rights reserved. Oh, Renee- this is hilarious! Well done! 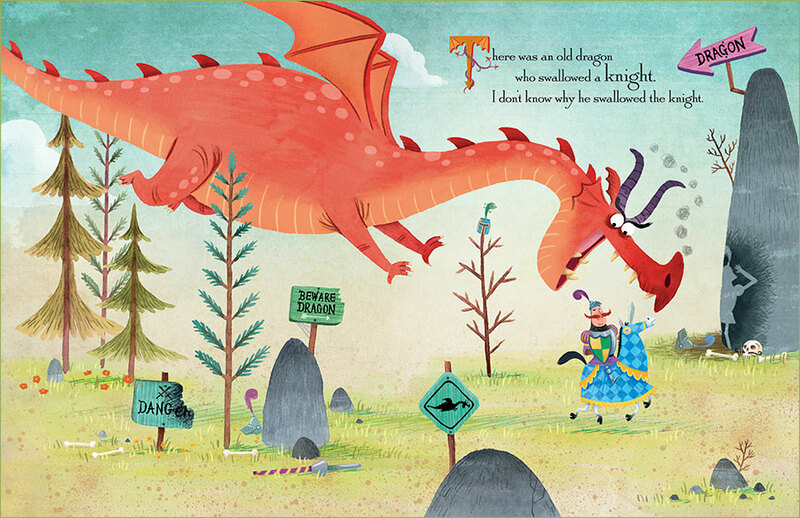 I just love that dragon and Penny’s rhymes are delightful- a perfect marriage of text and art! Great activities too. Renée created such a hilarious post! Thanks for being brave enough to show your face, Iza. Hopefully Dragon won’t decide to come your way! What a treat, Renee! 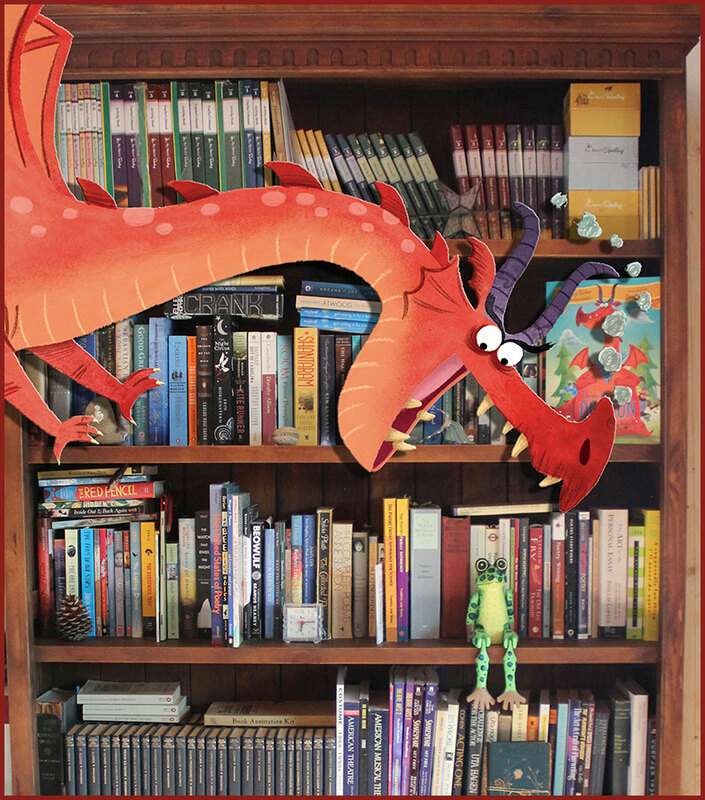 I had such fun with your creation…and I know my students will love this rambunctious dragon, too! My kids sure do, Tara! 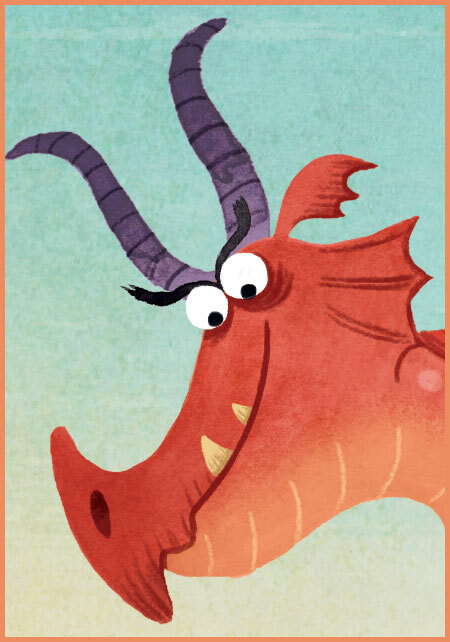 I hope your students do enjoy Dragon, Tara.I hope he behaves himself! Cutest. Dragon. Blogpost. Ever. Well done, Renée… not medium rare at all (Ha!). Seriously, though, I hope you’ve recovered from the trauma and thank you for the TLD plug! Har har har har!!!!! 😀 Yes, we’ve recovered somewhat from the dragon, but not so much from the couplet overdose! 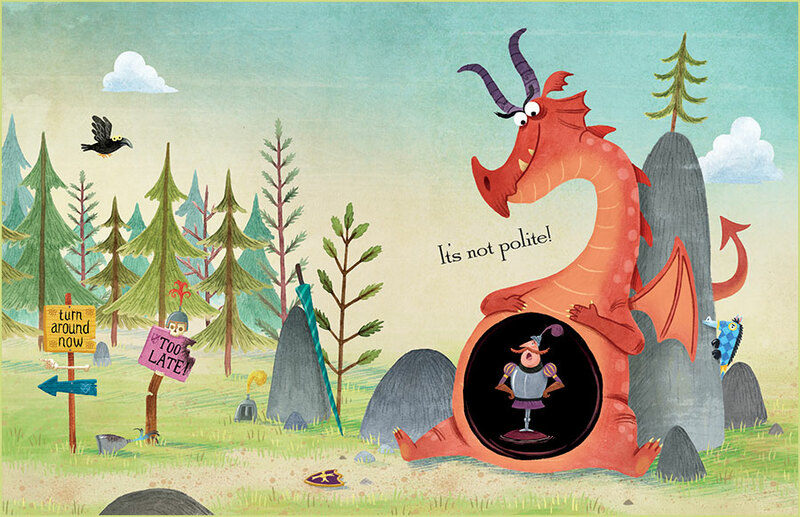 Congratulations to Penny on her book, which looks like fun, and YOU, for surviving (barely) the dragon-tastrophe! 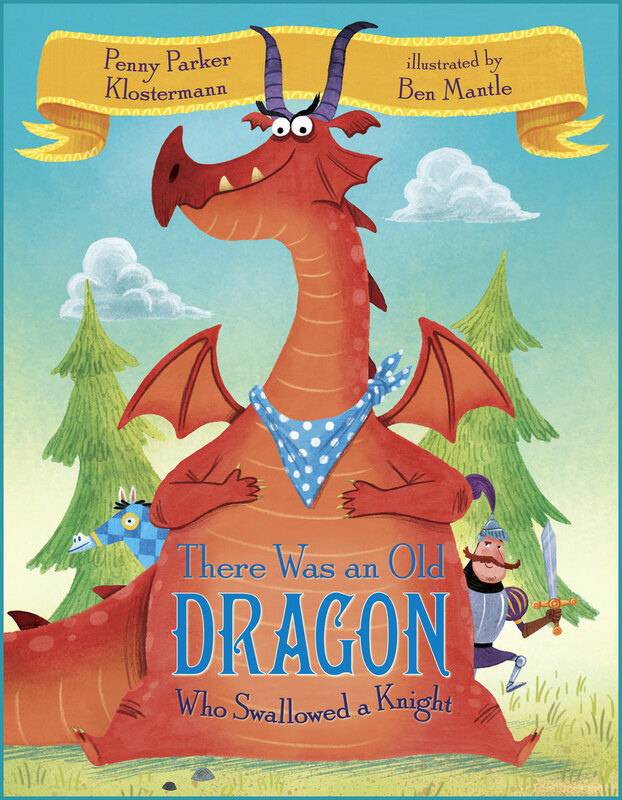 Yes, we’ve come out of it only slightly singed, and Dragon is happily back in his gorgeous book where he belongs! Thanks, Matt. Dragon-tastrophe is my favorite new word! Wow. Don’t know how you did all that, Renee, but it WORKS! Biggest congratulations to Penny on the book–I know lots of teachers who are ready for some companionship for the Old Lady. I bet she’s relieved too! Haha! Delectibly snappy! But do tell, what’s it like inside? I agree that it’s squishy and hot but I think I’ll sleep well toknight! Hee! Hee! That was really lame! 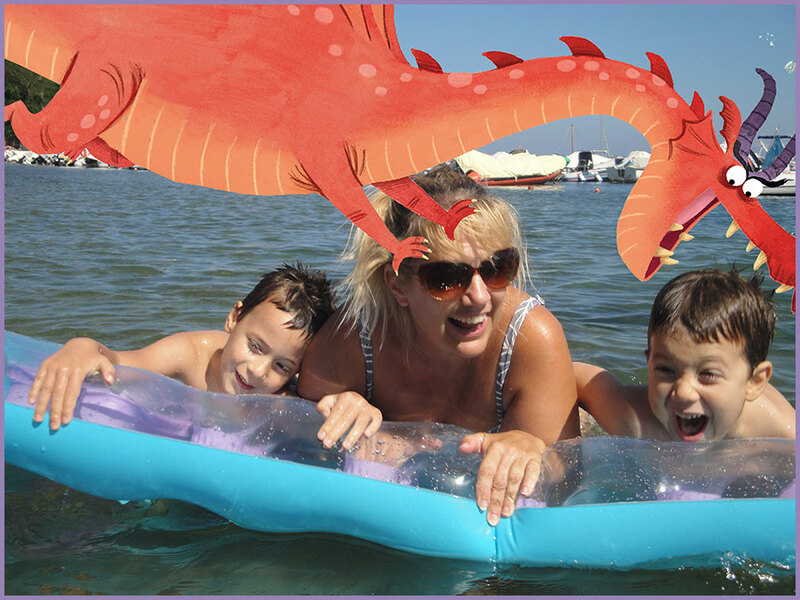 Love your Italian take on the dragon – what fun! Thanks for giving me a morning laugh. Penny- congrats on your book. That is super exciting! This is my FAVORITE Penny Post! This is so fun. We love the dragon. Now I need to let my Enzo see this post. He loved the naked horse. Isn’t this post most awesome??? I imagine Enzo will get a kick out of it! I love this book and I love this post! Great activities to go with the book, Penny. So fun! Thanks, Patricia. I had fun creating the activities. Whew! Did that dragon get into the garlic bread because I can smell his dragonbreath all the way over here! Cute couplets Renee and congrats again Penny! With everything else he swallowed I imagine he got his share of garlic bread! Thank, Cathy. ha! You are hilarious, Renee! I loved your poem as much as I love Penny’s book! brava! Just as much, Elaine??? Don’t you like my book a tiny bit better?? LOL! Of course she does! She’s just kissing up to me because she wants me to draw her name out of the barbute! Ha! I had to tease Elaine. She is a smart kissing-up cookie! HaHa! Love, love, love this, Renee! And congratulations to Penny! My copy just arrived. What a delightful book! This post put a smile on my face, too, Amy! I might just start humming…that’s a great idea! I did sing my book a lot while revising! Looks like such a cute book, and your version is great! Renée’s version is super fun! Thanks for checking out her post about the old dragon! Grinned, chuckled, laughed throughout this post…THEN I felt a hot hungry breath on my neck! ARRRRRgGHHH! 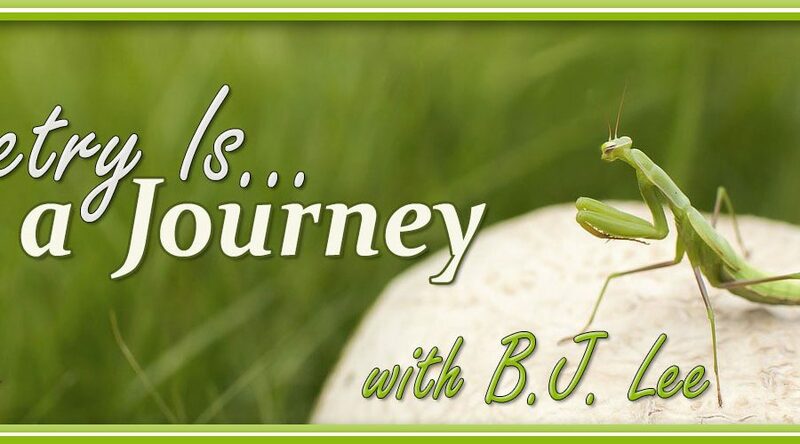 What fun spontaneity fueled by Penny’s wonderful imagination and Ben’s fiery illustrations. Can’t wait to get my copy. Oh my! Sounds like Dragon could be in your neighborhood, Damon! Yikes! Run! Don’t look back. Toss knights over your shoulder! I love Penny’s new book. It’s truly a fun read aloud. Your post Renee is out of sight! So clever and fun! I loved seeing you in the tube with your kids. And may I say that pizza looked mighty good.Congrats Penny! Thanks, Kathy. 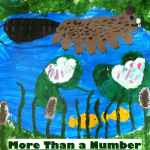 And your words “It’s truly a fun read aloud.” are words I’ve waited to hear! Yay! Okay, Rebecca, I will not put your name in the barbute. I just learned the word barbute today, and now I am trying to use it in every sentence. Top ‘o the barbute, to ya, lass! Hi Rebecca!!! Thanks for reading Renée’s awesome post! So fun that your copy arrived. I got my copy of IT’S RAINING BATS AND FROGS, too. Love it! Amazing book and artwork. Really want to win that signed copy!!! Thanks, Ryab. Good luck in the drawing. Such a funny and perfect post, Renee–thank you! And congrats again, Penny!! 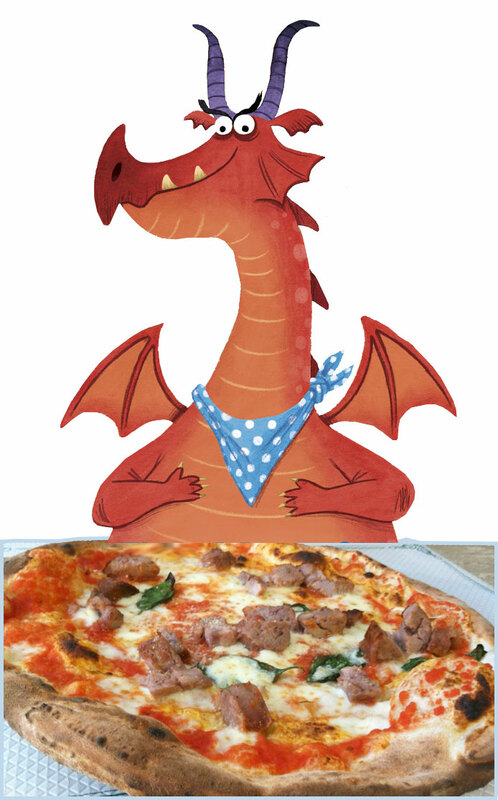 That dragon gets around–and what a fiery trip he had to Italy. Sorry about the loss of Renee’s boy, sea, and self, but happy about all the chuckles she and Penny are spreading. “…Renée’s boy, sea, and self…” — tee hee! My dragon does get around…kind of scary! What a fun post. I MUST get my hand on this book – it seems absolutely a blast to read. Congrats Penny on your debut book – I have a feeling we’ll be seeing many more from you! As a dragon myself (Chinese horoscope), I am aghast at the idea of slaying one…does it count if I fed one (me!) instead? Hooray for Penny and her excellent book…and hooray for your funny Italian contribution to the them, Renee! I would not slay one either, Teresa. I happen to love dragons, even if they char everything. Absolutely delightful, both of you! I am glad you’re still around and not truly languishing in a dragon’s belly! No dragon-belly languishing for me, Doraine! Thanks for reading Renée’s super fun post! Ordered it from the New York Public Library. Can’t wait to read it! Yay! I love to think about my book in the New York Public Library. Hope you enjoy it, Charles. I LOVE your post and rhyming story. I’m not sure how Penny’s Knight gets saved, but I know what is going to happen to yours–all that salt water is bound to make anyone heave (or does the dragon sink or blow up?). I’m thinking a Lock Ness Monster swallowing pirates for your sea-quel. I must read Penny’s book, it looks like the perfect read-a-loud. I’m not giving up the plot — you must read Penny’s book to find out how the knight fares. 😀 And yes, it is a MARVELOUS read-aloud, so much fun and giggle-inducing too! I imagine your grandchildren will have fun viewing Renee’s post. There will probably be giggling because I sure giggled. Thanks, Linda. Very funny, Renee. 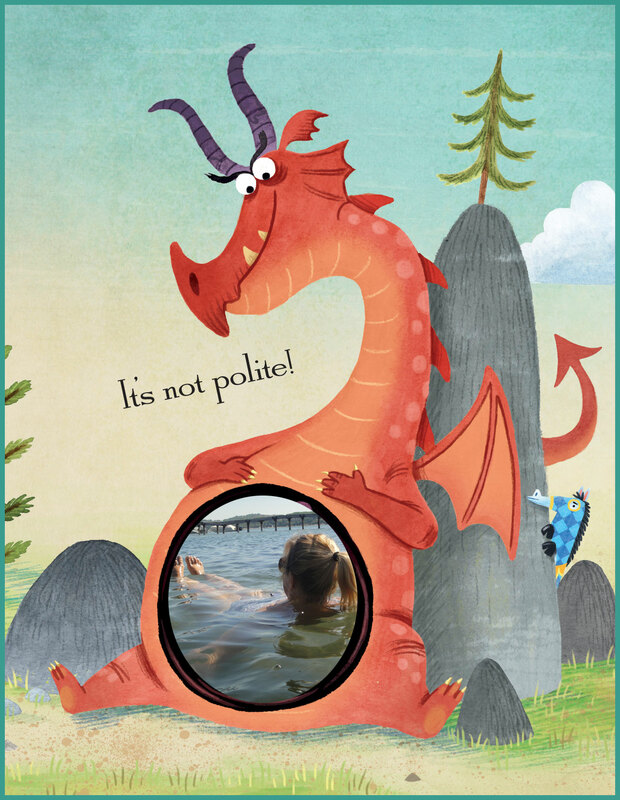 You rock at photoshop and Penny rocks a dragon rhyme. Congrats Penny! We love your book. I agree, Catherine…Renée definitely rocks at photoshop! So glad you love my book! Renée, I really needed a laugh.Thanks! I’m looking forwarding to reading Penny’s book. I’ve heard so much about her incorrigible dragon. And the illustrations are perfect. Hope you enjoy my book when you get a chance to read it, Manju. 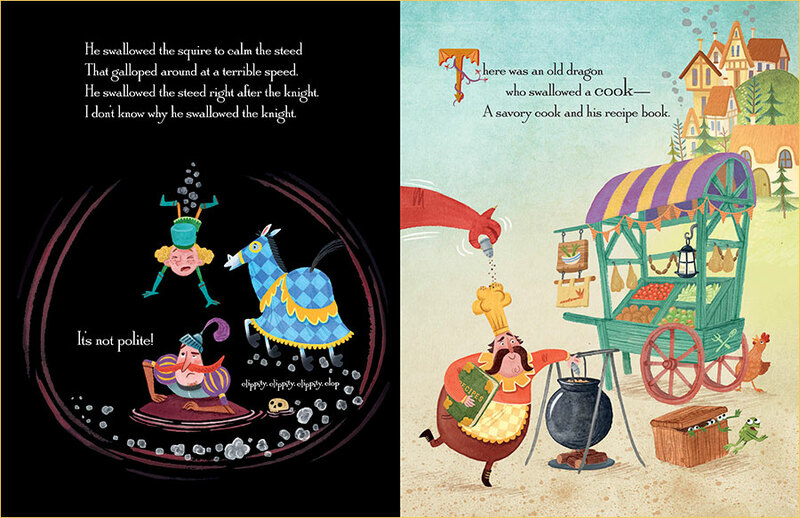 The illustrations look amazing and can’t wait to read this book – looks so fun and fresh. Congrats, Penny and thanks Renee. The illustrations are amazing, Kaye. I am amazed every time I open the cover. Ha! What a fabulous and fun post! The book and story sound and look adorable and your poem was a perfect fit! Your dragon story is a riot, Renee! Love the photos. I can’t wait to read Penny’s book. Hope you enjoy my book when you get a chance to read it, Tina. I love the photos, too! Renée is one talented lady! Love the book, love the post, love the dragon!! So. Much. Fun! Your post reminded me I need to get hold of this book! I love your post- so fun! I think you should do a family published picture book so your boys will have it to share with their kids! Thanks for reading Renée’s incredible post, Carol. And great idea about the family published picture book. Renee this is hilarious. I love your poem and the effort you’ve gone to to integrate the dragon images. Wow! 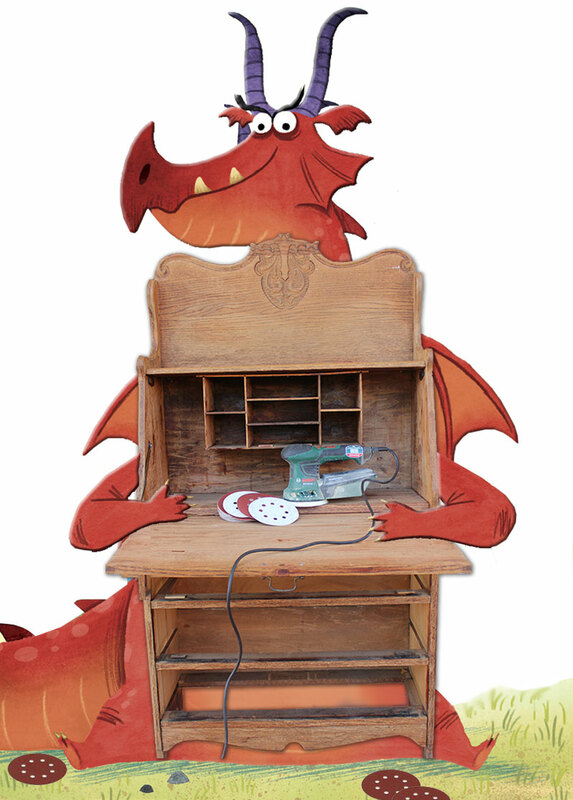 And I am going to seek out the book – I love dragons and I love reworks of the Old Lady rhyme. I loved Renée’s couplet, it made me giggle. I’ve Clicked everything I can find and some how I can’t seem to find Dragons delighful give book gove away. I would love to win a signed copy, dragons are my favorite creature. Renee, What a delightful foray into fantasy. Dragon is quite a busy fellow as he gets into mischief here and there. Thanks for introducing me to this wonderful book that makes me smile. Would you consider offering a poem/photo combination for the gallery, Summer Splashings, that I am creating? Invitation is at http://beyondliteracylink.blogspot.com/2015/07/celebrate-summer.html.